Cooking classes are held once a week. 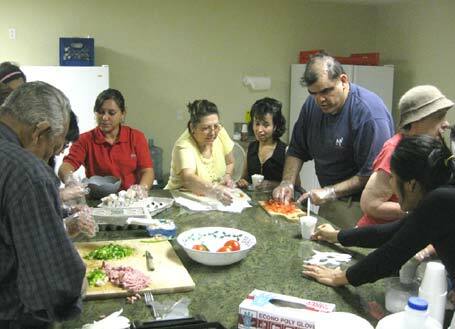 Seniors with aging challenges, adults with disabilities, staff and volunteers work side by side in the kitchen. They prepare simple dishes that can be purchased on a low income budget. Among other things, participants learn the value of proper sanitation and clean up after meal preparation. Social inclusion, trust, respect and acceptance of one another are byproduct outcomes of this educational, fun and naturally therapeutic activity.